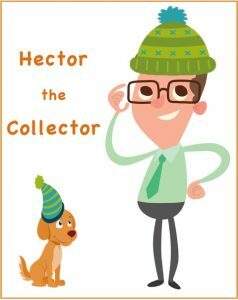 Keeping Oneself Credit Healthy During the Winter Months - Credit Mediators Inc.
It’s Hector the Collector and hope you had a nice New Year holiday. As you know, from the Northwest Rockies, through the Midwest, and over here where I am in the Northeast, ringing in the new year has brought with it some brutally cold arctic weather and tons of snow. For those who love the cold outdoor activities, this winter is off to a great start. For the rest of us who would rather be lying on a warm beach rather than rushing to get out of the freezing wind, we have a good five months ahead of us before we can take a walk without a coat on. To maintain our mental and physical well being during this time of “deprivation,” there are several important things we should consider doing in order to stay healthy and on top of our credit and collection game. Stay Warm – You may not necessarily feel cold but your mind knows when parts of the body are not doing well. When you’re not getting enough warmth, it’s easy to get distracted, which in turn means that evaluating credit limits, approving orders, speaking persuasively during collection calls, etc. may not be performed effectively. Wearing a sweater, keeping a good hot cup of coffee on your desk, putting a small blanket on your lap, and even placing a small space heater by your legs can all help to keep you warm, alert, and focused. Keep Those Muscles Moving – If you’re a skier or a skater, these physical activities are an excellent way to keep yourself very active. However, if you’re inclined to keep the activity on the slow and steady side, even just walking regularly for thirty minutes indoors will keep your body, and your mind, from getting the winter doldrums. As one of the main causes for winter depression is a lack of exercise, going to an indoor mall or track, or even walking up and down a few flights of stairs at the office, can keep your blood circulating. When and where possible, walk over to your colleagues and talk to them face to face and take the stairs instead of the elevator. Some companies have set aside fifteen minutes during the day to rally all the employees to follow a light exercise regimen done at one’s desk. Continue to Network – Unfortunately, due to the cold or snow, the desire to head out to gatherings with colleagues may often go to the way side. However, making the additional effort to attend periodic conferences, meetings and networking opportunities are wonderful ways to stay engaged, learn new things, and most importantly, have a good laugh over a meal. Eat Well – No matter what time of the year it is, eating well is imperative. But when it’s cold, your body must use up more calories and reserves to keep itself warm. By all means, feed yourself regularly and make sure that you’re eating lots of vegetables. Not only will veggies give you much needed nutrients, they will let your digestive system run a lot smoother and with less energy. Lay off the Booze – I’m not saying you should completely give up your favorite glass of cabernet, but drinking too much and too often will at first make you warm and then could give you the chills. If you’re going to imbibe, do it in very small amounts, slowly, and over a few hours, and of course when you’re not in the office. Keep Plenty of Kitty Litter in the Car – I know this sounds a bit off the wall but hear me out. When your car gets stuck on the way to work and the rear wheels are going around and around getting no traction, throwing some kitty litter under the tires will get you immediately out of that slippery rut so that you can be on time to make those collection calls. Enjoy your winter ahead and stay credit healthy!